‘Work is our big ticket,’ says the composer duo that has steadily racked up the hits over the past few years. The soundtrack of Yash Raj Films’ Meri Pyaari Bindu faces stiff competition from within: it features new tracks as well as classic Hindi film songs. Akshay Roy’s debutant movie is set in the 1980s in Kolkata and follows the romantic entanglements between Bindu (Parineeti Chopra) and Abhimanyu (Ayushmann Khurrana) that plays out against the music of that decade and previous decades. 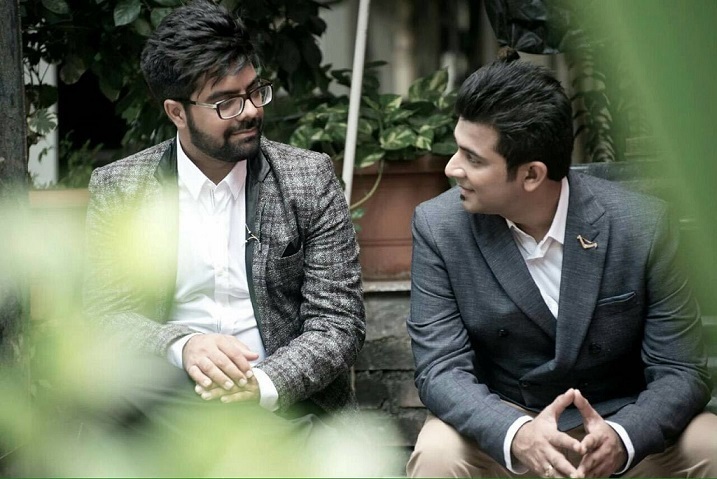 Sachin Sanghvi and Jigar Saraiya, who compose as Sachin-Jigar, have been hard at work since 2008. Shuddh Desi Romance (2013) was their first project with Yash Raj Films, and they have featured in a number of multi-composer soundtracks, including Badlapur (2015) and ABCD 2 (2015). Ahead of Meri Pyaari Bindu’s release on May 12, they spoke to Scroll.in about producing a soundtrack that persuades listeners to move away from the enduring charms of the classics. How do you compose music for a movie that has so many classic numbers? Sachin: Since the excellent music from every decade is intrinsic to the script, the producers really wanted to include an original score to balance the equation by not entirely banking on what is already so popular. It was a challenge for us to compose tunes that were good, if not better. Maana Ke Hum Yaar Nahin from Meri Pyaari Bindu (2017). The film marks the singing debut of Parineeti Chopra. Should actors sing? Jigar: If the actor is trained, why not sing? Look at Remo’s career – he was a background dancer, a choreographer and now a filmmaker. Karan Johar juggles many talents from film direction to television anchoring. I don’t think it’s wrong for actors to attempt singing, but only valid and trained people must venture into the other side. 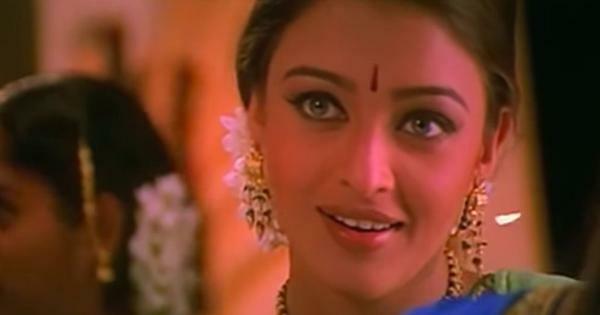 Like when singer Vasundhara Das acted in Hey Ram (2000), it was phenomenal. Sachin: In Parineeti’s case, the actor lives the character, who is a very deserving singer who doesn’t find success. The actor is the best person to express the emotions. If the crossover can be organic, as she is a trained singer, we will have no qualms either. It was a deliberate effort on our part to compose the ghazal-like Maana Ke Hum Yaar Nahi in a non-ghazal format, keeping it light and easy. Think of it like Humein Tumse Pyaar Kitna, which had two versions, one by Kishore Kumar, and the intricate and slightly inaccessible second version by Parveen Sultana. Chopra has been criticised for not meeting the standards of a professional singer. Jigar: I don’t think she has sung Maana Ke Hum Yaar Nahi less than any professional singer. The melody pans around two octaves and she has done a wonderful job. Sachin Sanghvi (left) and Jigar Saraiya. How did ‘Shuddh Desi Romance’ change things for you? Jigar: It definitely helped us, as we did Badlapur and ABCD 2 right after. Then the phase of ensemble-composer soundtracks and the recreation of old songs began to trend. We took a back seat. We got extremely choosy. Also, we did not come across a script like Meri Pyaari Bindu. We knew when we heard the script that it was going to do a lot of good to us. Sachin: Wajid, of the Sajid-Wajid composer duo, once told me, “There is only one big moment in a musician’s life in India. It is his entry into Bollywood.” We let go of six films right after Shuddh Desi Romance. Jigar: All our popular songs, whether its Char Baj Gaye Hain, Saibo or Jee Karda, have not been in big films. The only big star-driven film we did was ABCD 2, when Varun Dhawan was still building up. Our work is our big ticket. Gulabi from Shuddh Desi Romance (2013). How important are lyrics for your tunes? Sachin: What we look for in a lyric writer is that one line or that one thought that can really define what the song is all about. We both come from a theatre background, where we used to compose according to the script and not what is trending. We work with Priya Saraiya [Jigar’s wife] most consistently. Now we have also started working with Vayu, who we find quirky. What about churning out a hit number like ‘G Phaad Ke’ in ‘Happy Ending’ (2014), and the use of double meaning lyrics? Jigar: Because it was Govinda’s re-entry, it was written in that slightly tongue-in-cheek style, but we will never go the double meaning way. G Phaad Ke from Happy Ending (2014). You have also composed music for Gujarati films such as ‘Bey Yaar’ (2014) and ‘Wrong Side Raju’ (2016). Would ‘Satrangi Re’ from ‘Wrong Side Raju’ have been more popular if it had been in a Hindi film? Jigar: It’s a big one for the Gujarati film industry. It would have been neglected in a Hindi film because it’s a proper 70mm Shah Rukh Khan song. Sachin: I studied Hindustani classical music and I composed tunes for a lot of plays and television shows. I met Jigar through Amit Trivedi, and we got along and became a composing team, arranging professionally for big composers. Jigar: I have been playing the dholak and tabla since I was a child. I switched to music programming after composer Rajesh Roshan advised me to get a hang of electronics. Do you have similar tastes in music? Sachin: We are from completely different backgrounds, and we have so much to learn from each other. Jigar listens to Kishori Amonkar and I listen to John Mayer, so there is a huge musical exchange happening between us. That helps us collaborate and fuse the traditional with the modern in our music. What’s your take on remixes? Would you compose them? Jigar: We are not so talented as to touch the classics. That’s why we agreed to do Meri Pyaari Bindu, because we were not going to be recreating old songs. Jigar: I just tweet random quotes. I stay out of controversies by not commenting on anything. Anyway, who is listening to you? Social media is like a wall people talk to and nobody responds. Don’t you feel left out, especially since every other musician is clamouring to be seen and heard? Jigar: There’s so much to do in the studio. Why take it to social media? Sachin: We’d like to do another song. We want to be remembered for our songs. Satrangi Re from Wrong Side Raju (2016).